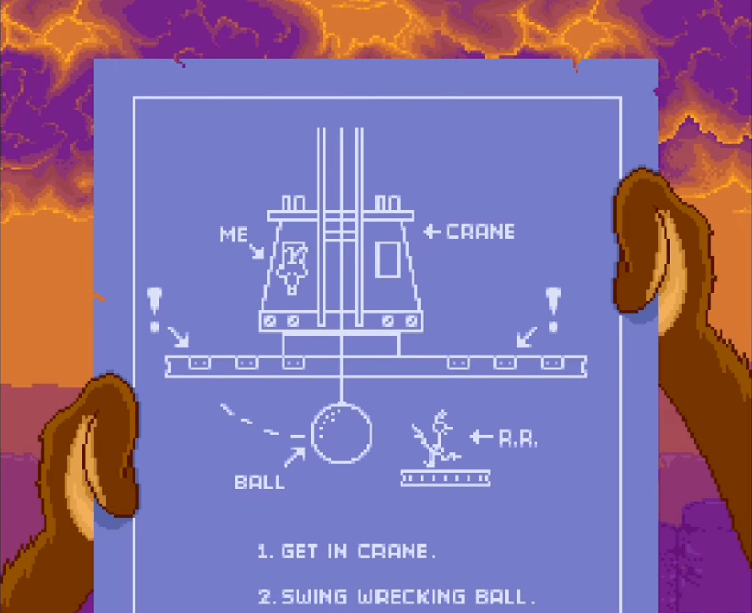 Ah, yes, the Road Runner and Wile E. Coyote, a timeless struggle that pits the natural survival instinct of the non-flying desert bird against the cold, calculating technology brought to bear by the ACME Corporation’s single best customer. Truly a classic in the cartoon world, so much so that I imagine even kids today have at the very least an understanding of it, even if they’ve never actually seen an episode for themselves. Sure enough, it seemed like it was worth a shot to capitalize on the popularity of the beloved cartoon, so Sunsoft and ICOM took up the mantle in 1992, creating today’s title, Road Runner’s Death Valley Rally for Super Nintendo. As you might imagine, you play as the Road Runner, with the goal of navigating through each stage to the checkered flag at the end, all the while dodging the machinations of Wile E. Coyote, as well as a slew of minor enemies along the way and other obstacles. 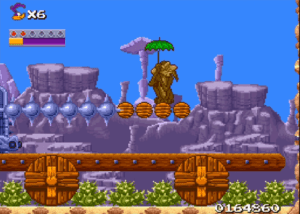 Each of the five levels consists of four stages, three standard platformer stages and a boss fight against one of the Coyote’s more elaborate plans. You can’t actually attack the Coyote directly, but you can knock other enemies out of the way, either with a peck or a blast of Road Runner’s turbo speed, which can be refilled by pecking up bird seed. Now, almost immediately, you will notice that, unlike the previous game we covered in this series of cartoon-based reviews, Death Valley Rally does a FAR superior job of capturing the spirit of the source material. From the classic Looney Tunes intro at the title screen, to the faux-scientific name screens that start off each level, to the contrast between the Coyote’s despair at his equipment malfunctioning on him to the complete and utter obliviousness the Road Runner maintains at the whole situation, this definitely feels a lot like a Road Runner game should; even the boss fights are introduced to you through a picture of the Coyote looking over the blueprints for his latest ACME-provided contraption, either pointing out the weak points you need to attack or at the very least suggesting the strategy you need to take. Handling the Road Runner works well enough here. You take a little while to build up to top speed (without the turbo boost), but it doesn’t feel slow to accelerate, and skidding back down to a stop can also knock out some enemies if you have your talons out when you plow into them. 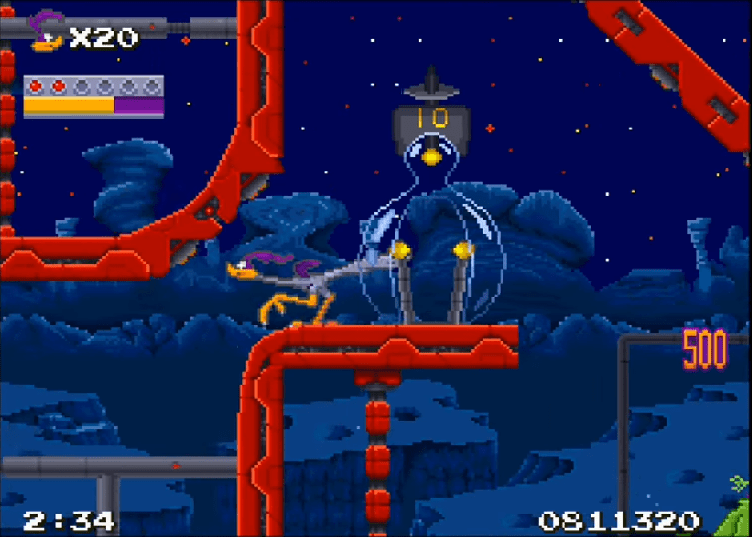 You don’t feel overly influenced by momentum, either, and Road Runner’s jump, while kinda strange looking, isn’t so finicky that you’ll miss platforms or not be entirely sure where you’re going to land. And yes, there are also buttons to make Road Runner go beep-beep and do that little tongue flick thing, and that right there is almost worth the price of admission. You can also take quite a few hits before tapping out, which is helpful to the younger demographic that would probably be more interested in this kind of game. Even on construction sites, we need road signs. At the end of each stage, you’re given bonus points for how much boost power you have remaining, how much time is left on the clock, and how many of the flags you’ve activated over the course of the level…which brings me to two points. Number one, yes, there is a clock that ticks down during the stages, but it doesn’t actually MEAN anything. If it runs out, there’s no penalty aside from just not getting those sweet, sweet bonus points, so imagine my surprise to attempt to blitz through a stage before the timer ran out, not getting there, and realizing that nothing actually happens. The same kinda applies with the flags; while in the first level, it’s pretty feasible to collect most of the flags, even all of them, without really having to go out of your way for them, but in the later stages, this pretense pretty much gets dropped entirely, to the point where I would frequently finish stages having found MAYBE a couple of flags, which, again, feels kinda anticlimactic. The other major issue I have with Death Valley Rally is one similar to one I have with the early Sonic the Hedgehog games, which is to say that it’s a game that wants you to whip through it at top speed, blazing your way through the stages at land-speed-record pace while masterfully navigating obstacles in your path…when in reality, it does just enough to kinda discourage that kind of cavalier approach. As I said before, while your turbo boost can be used to ram through smaller enemies, things like cacti bushes will stop you dead in your tracks regardless, and the camera is pulled in close enough that it’s borderline impossible to see them coming, unless you’ve absolutely memorized the stage layout. Not to mention, this is also a game that loves it some bottomless pits, so it’s kind of a buzzkill to attempt to zip along a stretch of the stage only to run right off the edge. Not to mention some of the stage designs don’t even bother to provide this illusion, like the stages where you’re jumping between cars on a circus train (with gaps between them) or one of the final stages, which essentially consists of a series of teleporters. 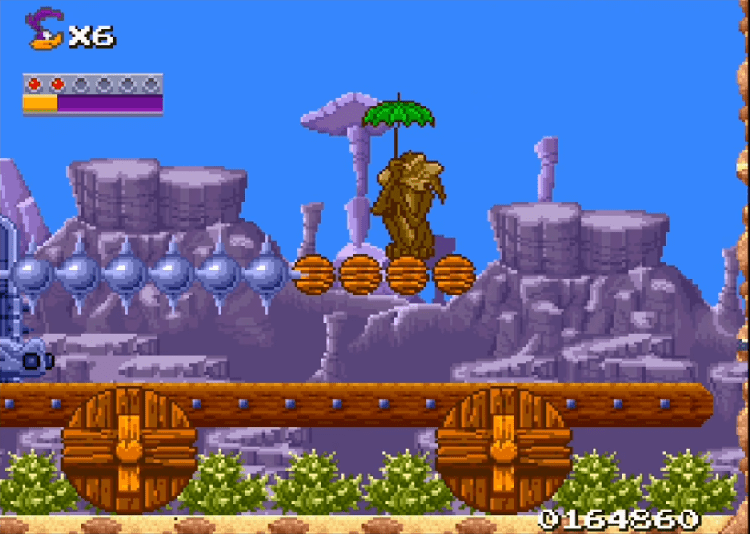 The boss stages in particular also feel rather cramped, which is okay, I suppose, but it does kinda further defeat the purpose of being the Road Runner when you only use the turbo boosts there to sprint away from counterattacks. I don’t think that umbrella is gonna help, buddy. Altogether, Road Runner’s Death Valley Rally is a reasonably solid platformer that definitely gets the spirit of its inspirational material, but doesn’t quite deliver on the execution. 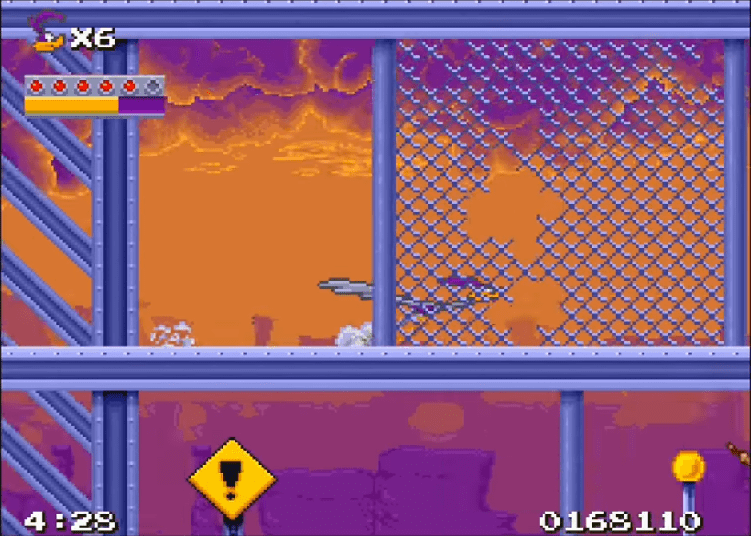 You definitely feel like you’re playing the story of a Road Runner/Coyote cartoon, but you don’t quite have the same sense that you’re filling in the gaps between slapstick spots, and that you’re more galumphing along between platforms and trying not to take petty damage more than sprinting along as the Road Runner kind should. It’s not the worst game I’ve played by any stretch, but it just doesn’t stand out in many ways aside from the main characters involved. 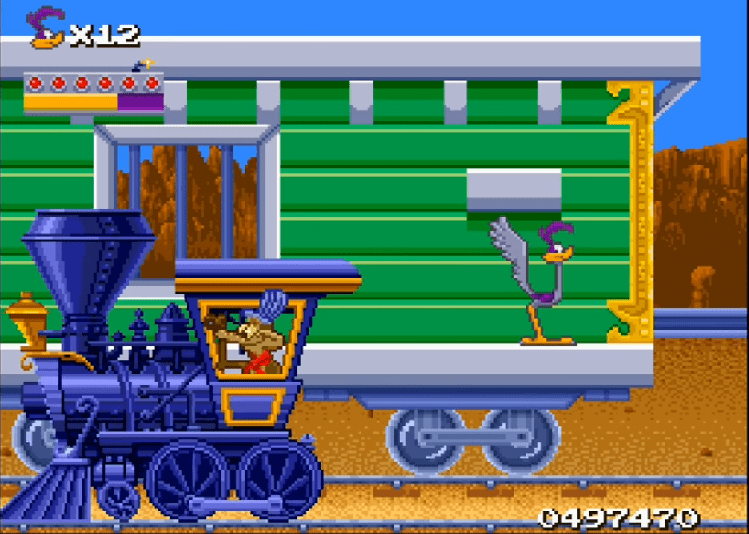 I would recommend it if you’re looking for a Road Runner game that encapsulates the ethos of the cartoon or if you’re a SNES platformer completionist, but not much more than that. Quite faithful to the source material, presentation is a pretty solid effort for a 16-bit machine. Gives the impression it wants you to run flatout while doing enough to make that impractical, and also does a rather poor job of incentivizing you to explore the levels. Definitely had this as a kid, and definitely remember being disappointed with it and not getting very far. My guess is the same Sonic the Hedgehog “go fast, but not TOO fast” paradox you talked about. Also great to see someone agree that was an issue. When I reviewed Sonic, I was worried I was just being a wuss.